The Louisiana District Export Council are our eyes and ears on the ground. They are the voice of the Exporter, and they are the advisor to our efforts to help small and medium- sized businesses throughout Louisiana. The USEAC and the LDEC are partners in creating new export opportunities for Louisiana businesses. Help small and medium-sized U.S. businesses succeed in global markets. Our Council provides the business people of Louisiana with international trade expertise and educational resources focused on encouraging and supporting exporting. Some of Louisiana’s most experienced export executives stand ready to advise local companies on export issues and international market development. LDEC members are seasoned international traders appointed directly by the U. S. Secretary of Commerce. The LDEC mission is to help the U. S. Commercial Service / New Orleans U. S. Export Assistance Center (USEAC) identify potential exports and act as mentors for new exporters. It acts as the primary trade outreach advisor to the USEAC. If your company is an established business you may receive export counseling from the LDEC at no charge. 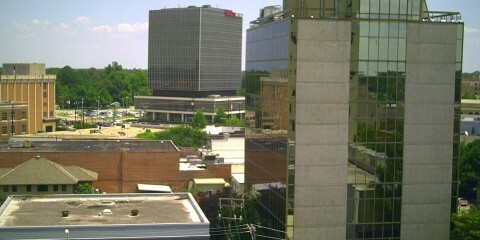 In an effort to increase LDEC outreach, the LDEC has partnered with several state and local trade promotion organizations, such as the Louisiana Department of Economic Development, the World Trade Center of New Orleans, Metrovision, Le Centre International de Lafayette, the Southern U. S. Trade Association, and the University of New Orleans / Louisiana Small Business Development Center. The LDEC works with its partners to co-sponsor international trade events. In addition to local partnerships, the LDEC has also partnered with the Export-Import Bank of the United States and the U. S. Small Business Administration in developing export finance programs and credit insurance. We identify Potential Export Markets and Promoting Your Products or Services Abroad. We do this by the following programs. Louisiana District Export Council — Membership Roster. Interested in learning about LDEC opportunities? 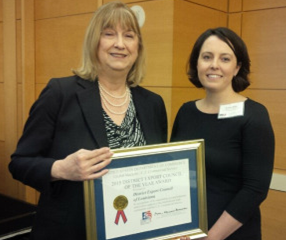 Louisiana Exporting Group Recognized as Best DEC for 2015 November 2015 The Louisiana District Export Council was recognized as the District Export Council of the Year for 2015. The DEC won the award during the National DEC Forum in Washington, D.C. Considering there are 59 DECs across the United States, winning this award is a big deal. And Louisiana companies exporting right now, or […] ..
Louisiana Gulf Coast Oil Exhibition (LAGCOE) – Lafayette, LA October 27-29, 2015 LAGCOE 2015 features access to state-of-the-art equipment, service and technologies as well as technical presentations from worldwide leaders in the onshore and offshore oil and gas exploration and production industry. Exhibits and technical presentations are designed to support bold, innovative approaches in the quest for energy. 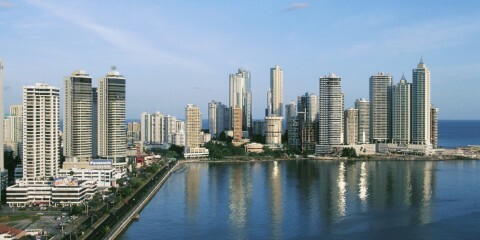 17,000 industry p ..
Louisiana Executive Trade Mission to Panama October 12-17, 2014 The Louisiana Committee of 100 and the LA District Export Council will spearhead an executive led Louisiana business development trade mission to Panama the week of October 12-17, 2014. The goal of the mission is to help participating Louisiana companies and organizations foster new business and partnerships in Panama. The mission is also open to [ ..
Louisiana Executive Business Development Trade Mission to Panama – October 12-17, 2014 The Louisiana District Export Council in conjunction with the Louisiana Committee of 100 and the U.S. Commercial Service will spearhead an executive led Louisiana business development trade mission to Panama. The goal of the mission is to help participating Louisiana companies and organizations foster new business and partnerships in Panama. ..
Louisiana Gulf Coast Oil Exhibition (LAGCOE) – Lafayette, LA – October 27-29, 2015 The Louisiana Gulf Coast Oil Exhibition (LAGCOE) is one of the world's pioneer oil and gas expositions that have been fueling global energy solutions for almost 60 YEARS (since 1955). LAGCOE is also one of the largest oil and gas industry expositions in the United States, held biennially in the very heart of America's energy corridor, Lafayette, LA ..
Click here for more Latest Downloads DEC History E and E Star Award Recipient E-Award For Exporting EX-IM Bank Median Term Credit Export Achievement Award Export Financing Contacts Export Resources for Food and Agriculture Companies Exporting Financing Flyer Food and Beverage Export Regs Freight Forwarders and Customs Brokers Guidelines for Repair and Warranty INCOTERMS Local Partner ..
National District Export Council .. The U.S. Commercial Service/U.S. Export Assistance Center (USEAC) is the U.S. Government’s primary trade promotion agency. Our Mission: To help small and medium-sized U.S. businesses succeed in global markets. The USEAC and the LDEC are partners in creating new export opportunities for Louisiana businesses. The USEAC works with federal, state, public and private organizations located throughout the state on export-related programs, such as matchmaking, counseling, business incentives, seminars, and workshops. To learn more about the partner organizations, please call the USEAC, or visit the USEAC web page located at www.export.gov/louisiana. Copyright © 2015 Louisiana District Export Council.